Once a month we will highlight a partner in the community that understands the importance of being at school and work every day. They understand that excellent attendance in school will carry over into excellent attendance in life. Excellent attendance in life will translate into a successful life no matter what pathway you choose, College, Career or Military. 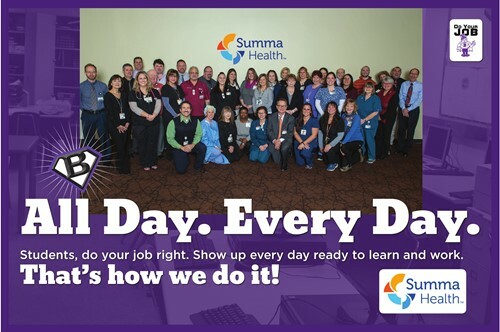 This month we are highlighting the hard workers at Summa Health!